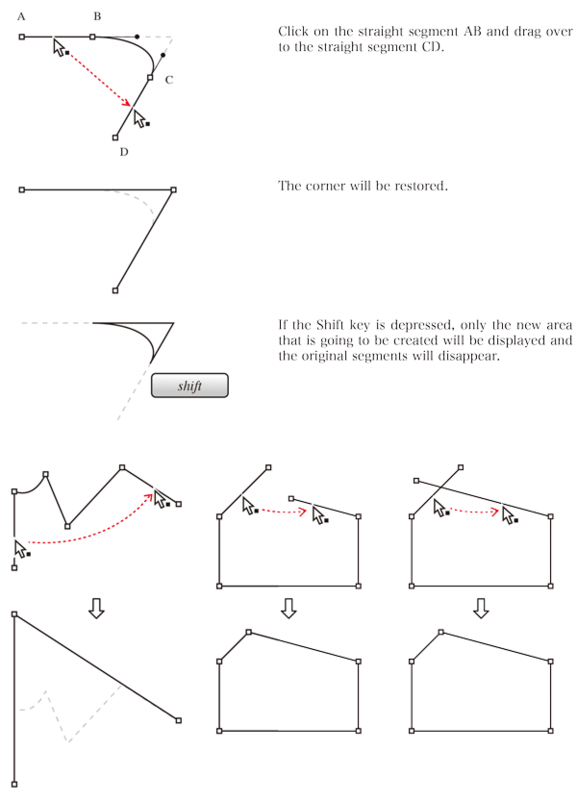 Segment Edit Use the Segment Edit tool to reshape a path segment while maintaining smooth anchor points. 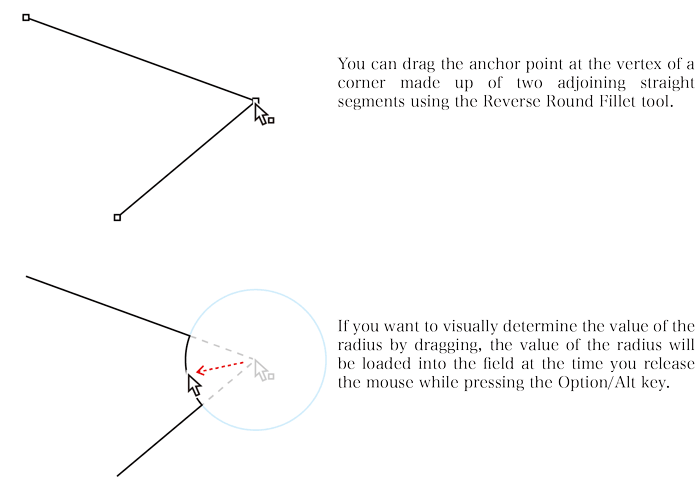 As you drag, the selected path segment is reshaped, as well as neighboring path segments connected by smooth anchor points. 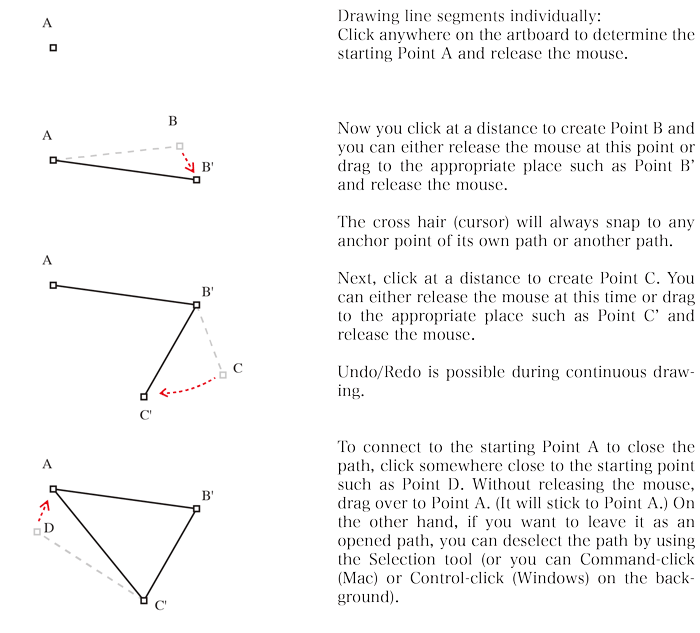 Adjacent path segments connected by a corner point are not altered when using the Segment Edit tool. Symmetric Edit The Symmetric Edit tool maintains the symmetry of a path segment while you drag. No matter where you click on the segment or where you drag, the curve remains symmetrical between the anchor points. Numeric Edit The Numeric Edit tool applies the settings of the Xtream Path palette to the path segment on which you click. 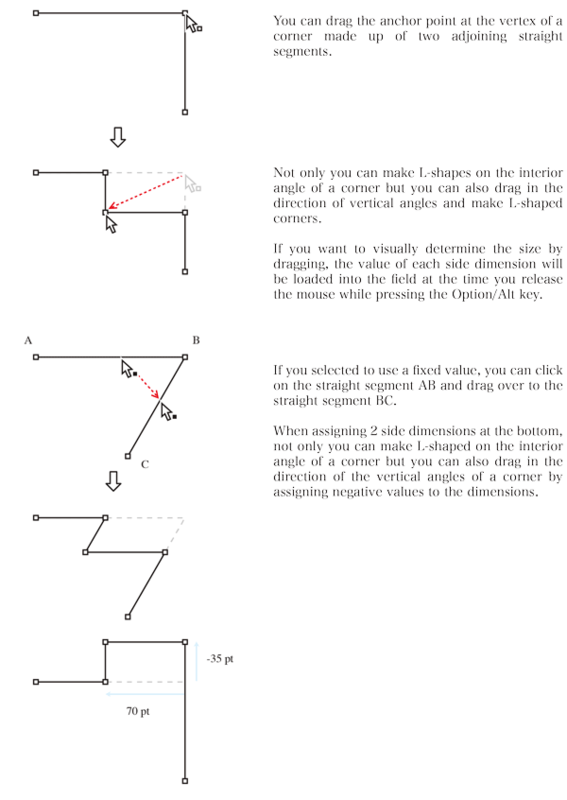 The values you enter into the palette’s fields determine the length and angle of the nearest anchor point’s direction lines. 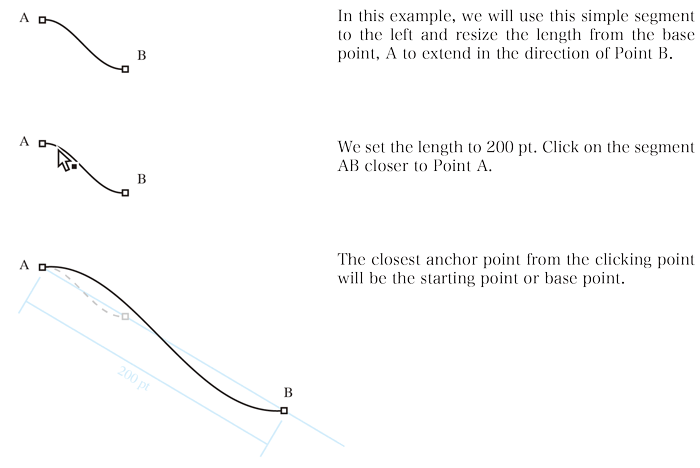 Arc Edit Click on a smooth anchor point with the Arc Edit tool and drag to produce a smooth arc through that anchor point. 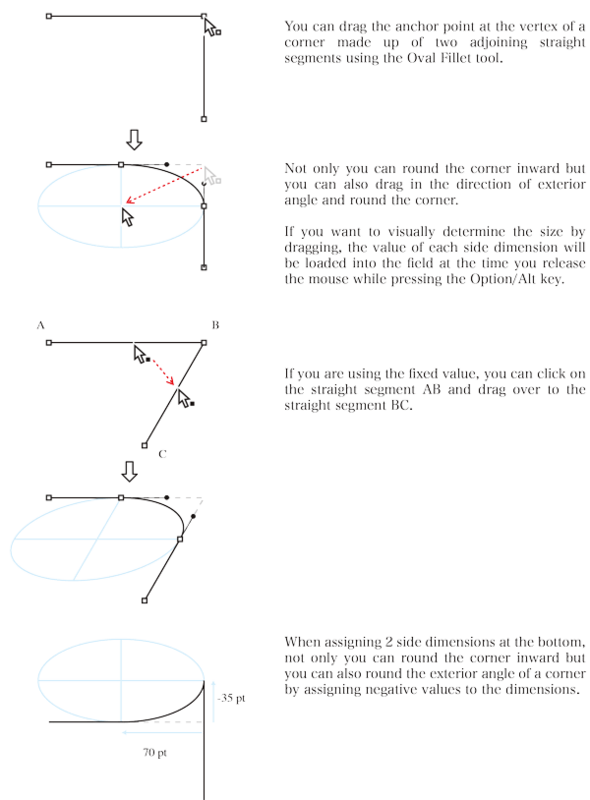 You can drag a smooth anchor point to convert it to a corner point or convert a corner anchor point into a smooth anchor point and create an arc. 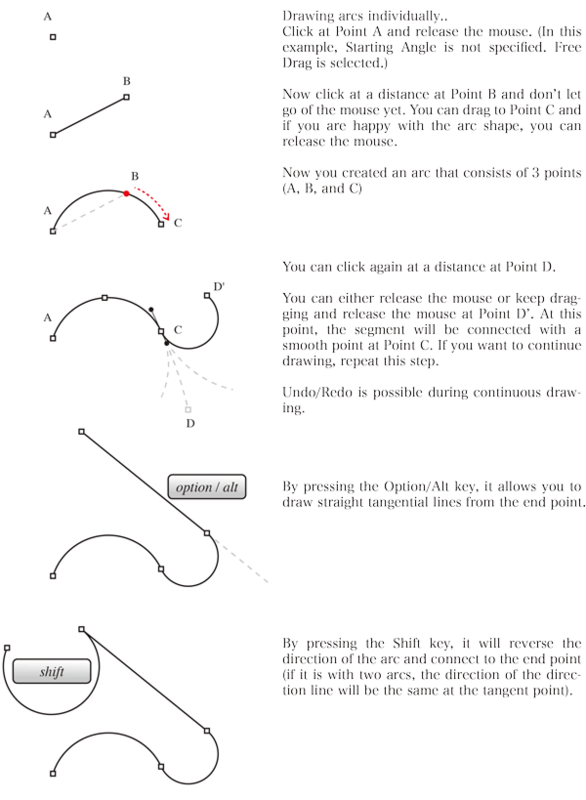 Horizontal Straightner Click on a path segment with the Horizontal Straightner tool and it becomes parallel to the top and bottom of the artboard. 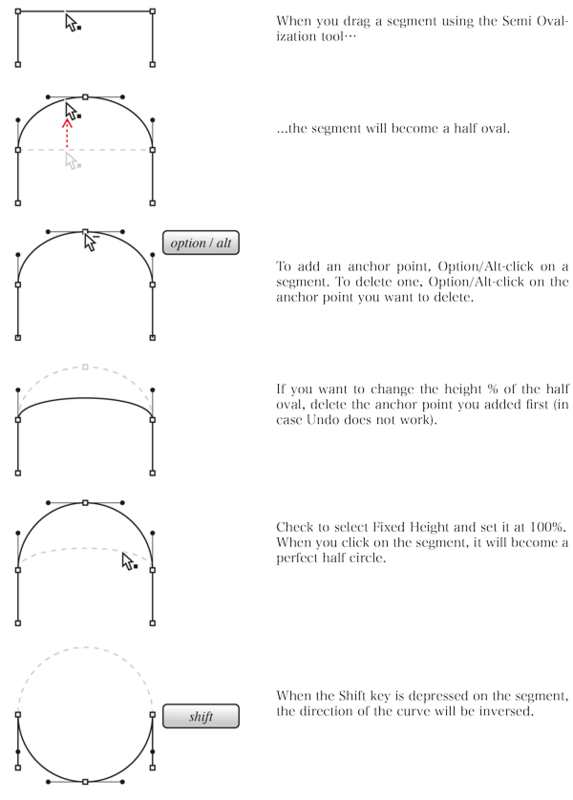 Convert-to-Arc Click on a path segment with the Convert-to-Arc tool to create a smooth arc from that segment. The arc will use the existing anchor points, converting corner anchor points to smooth points. 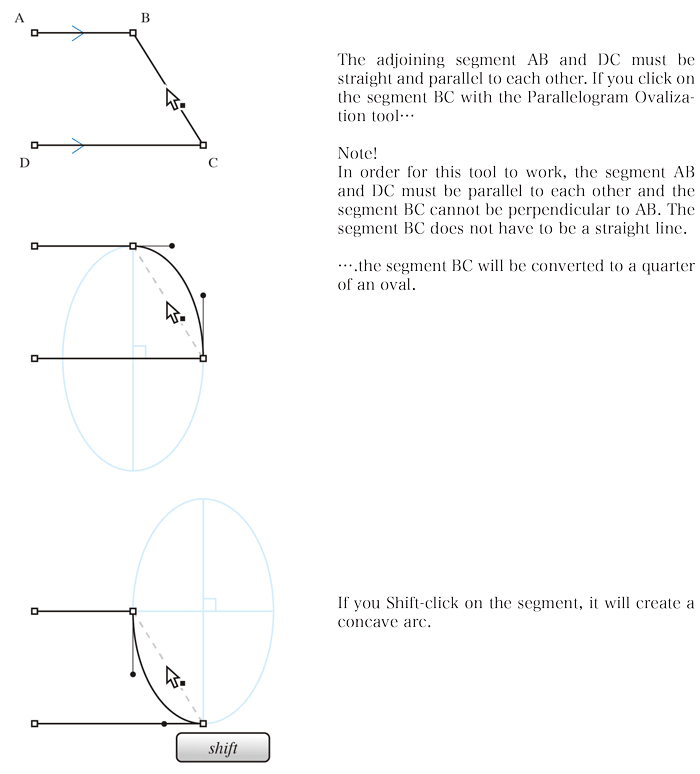 Parallelogram Ovalization Use the Parallelogram Ovalization tool to create arc from a path segment between two parallel segments. 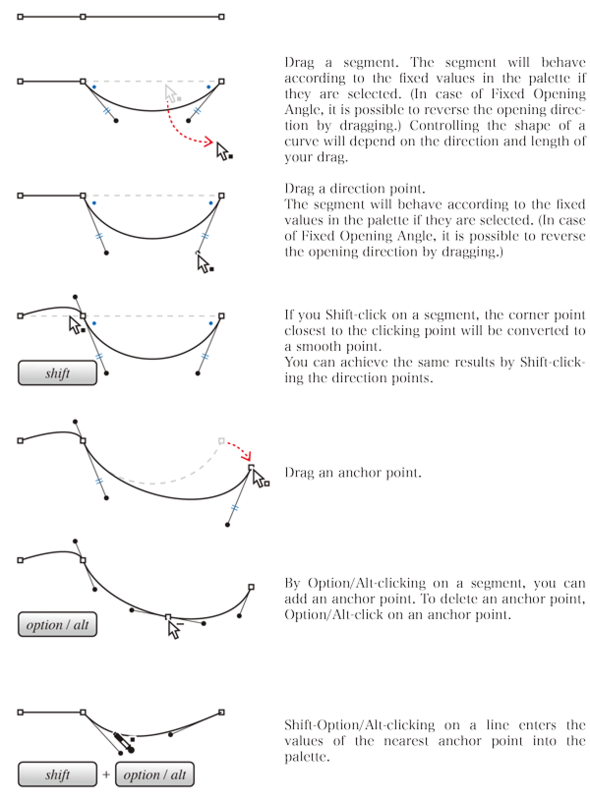 Semi Ovalization The Semi-Ovalization tool creates half-ovals from the selected path segment. When you click on a path segment, a smooth anchor point is added in the middle of the segment and the adjoining anchor points are converted to smooth points if necessary. 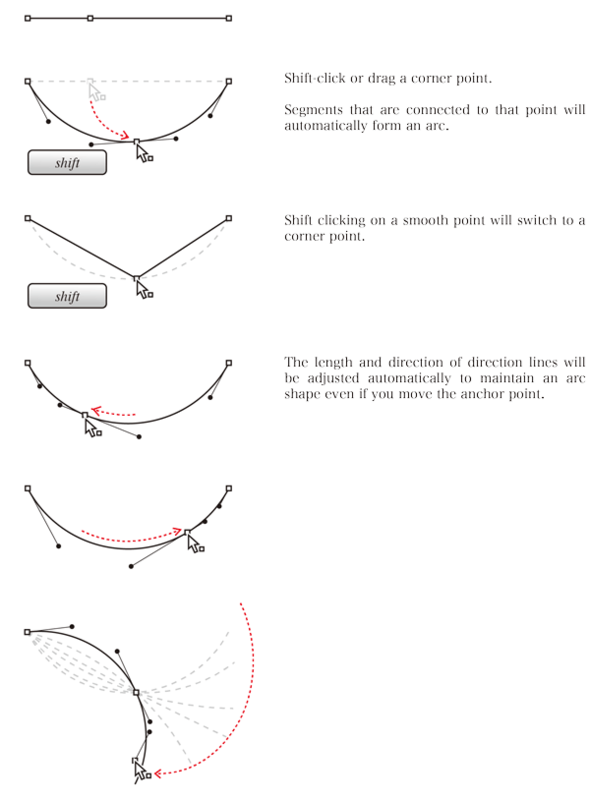 Stretch The Stretch tool deforms a path as you drag. 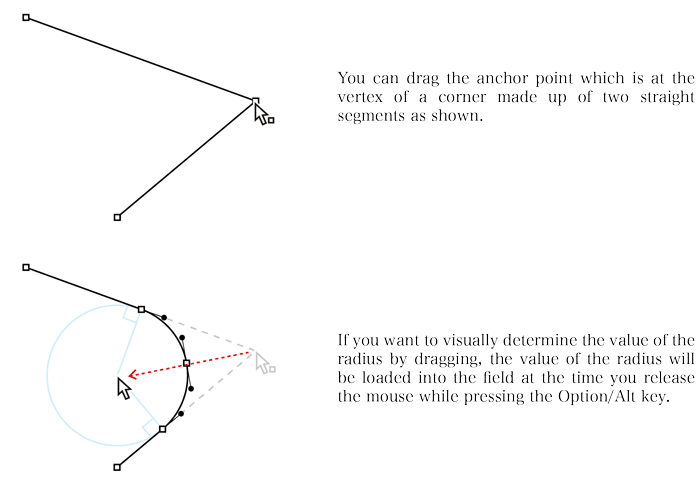 Click on an existing anchor point or on a path segment and drag. The path can be manipulated as desired, with anchor points added as necessary. Round Fillet The Round Fillet tool creates smoothly-rounded corners, converting corner anchor points to smooth points. 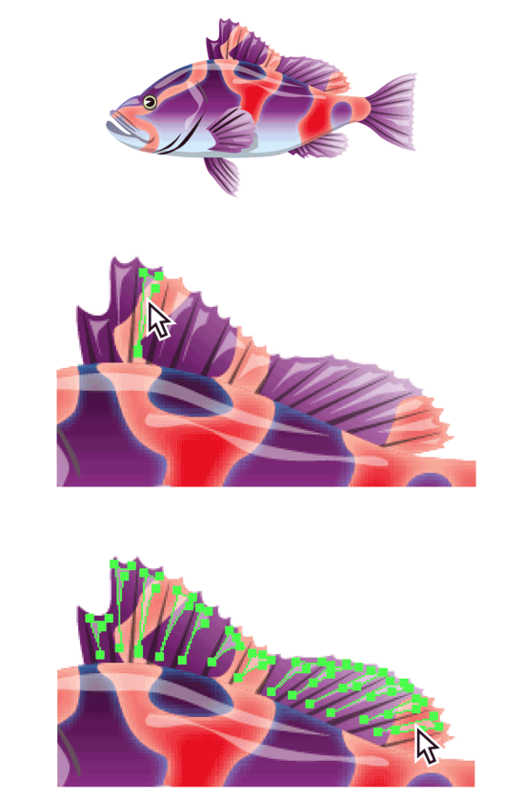 You can also use the Round Fillet tool to create curves by dragging outside the corner. 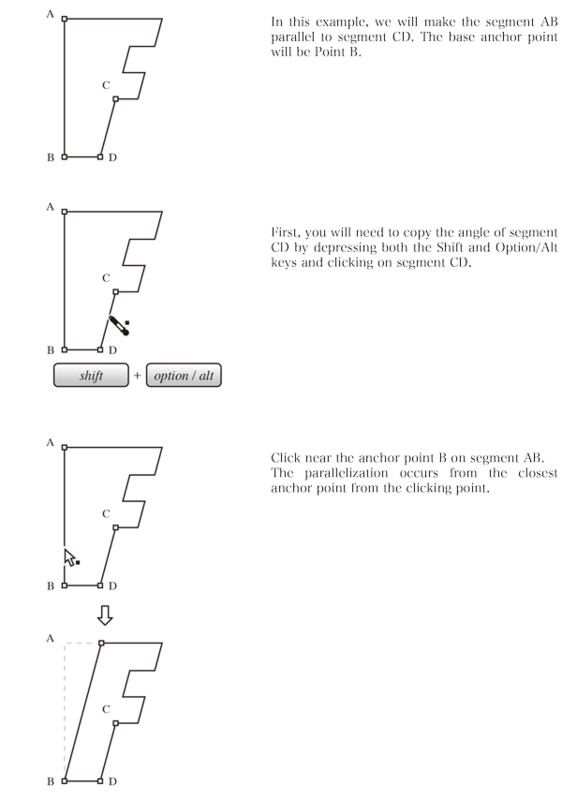 Reverse Round Fillet The Reverse Round Fillet tool converts corners into concave curves or it can be used to extend a straight path and adding a convex curve to replace the original corner. 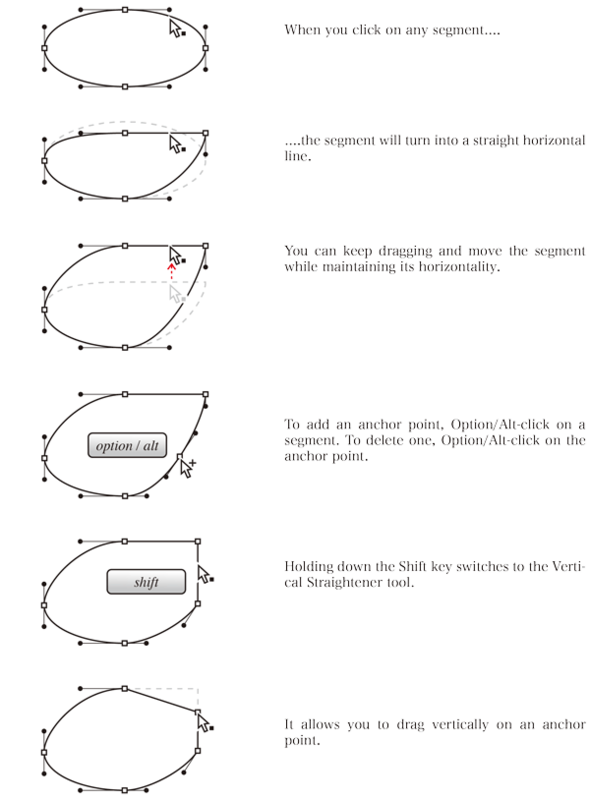 Oval Fillet The Oval Fillet tool converts corners into convex arcs. 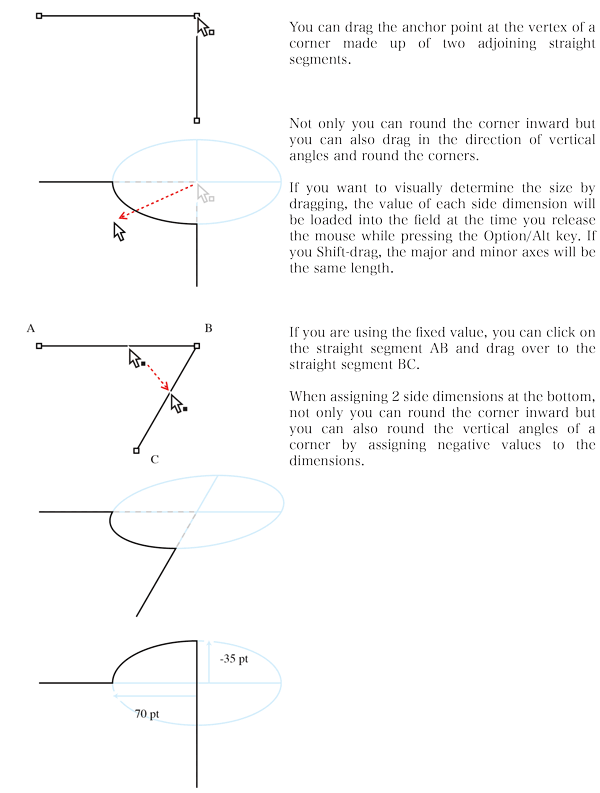 You can drag the tool to create the arc as you’d like, or you can create an arc to specific dimensions. Reverse Oval Fillet The Reverse Oval Fillet tool converts corners into concave arcs. You can drag the tool to create the ardc as you’d like, or you can create an arc to specific dimensions. Chamfer The Chamfer tool bevels corners. You click on a corner point and drag. Xtream Path will create a straight path segment diagonally between the original segments. L-Chamfer The L-Chamfer tool converts a corner anchor point into a pair of path segments that create an L shape. An angle is formed from two new path segments. 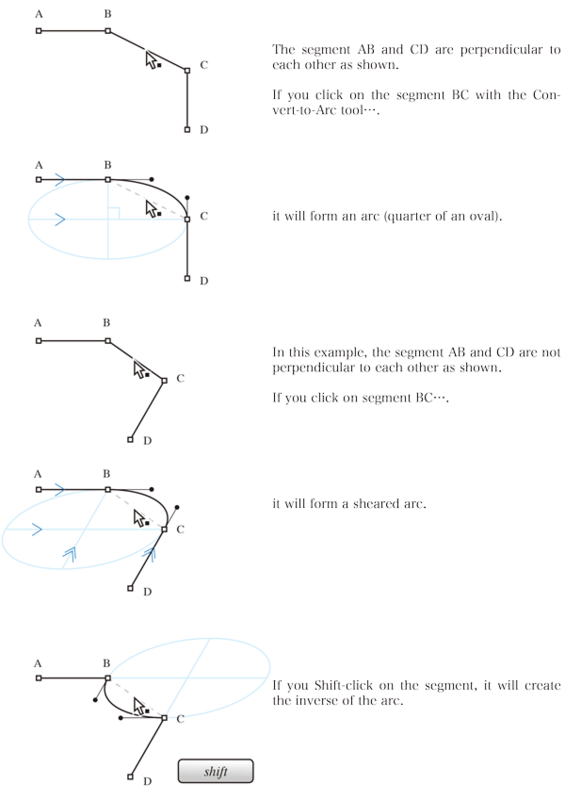 The angle of the new segments to each other and the original path is based upon the angle between the original segments. Intersection The Intersection tool can be used to create or restore corner points between two straight path segments. Multi-Line The Mulit-Line tool creates straight path segments with corner anchor points. 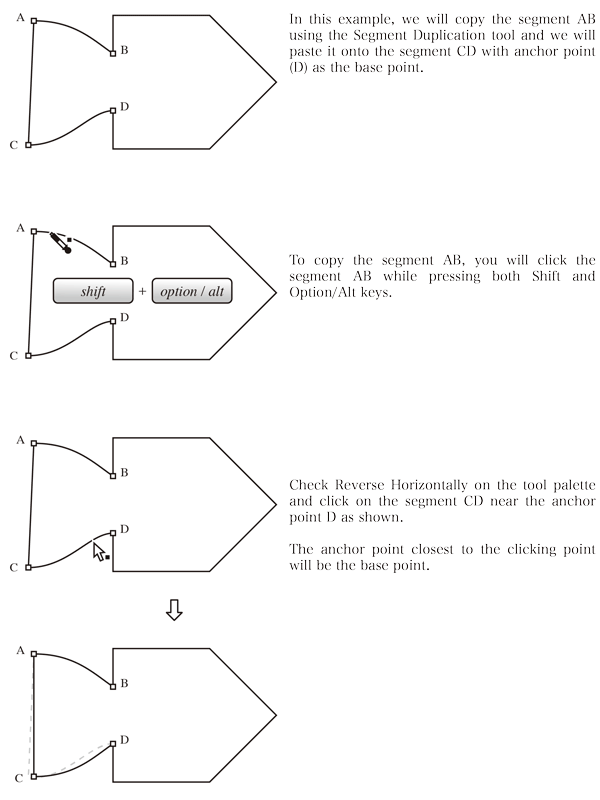 This tool is capable of creating multiple path segments with a series of clicks or click/drags. Multi-Arc The Multi-Arc tool creates curved path segments, each arc adding three smooth anchor points to the path. 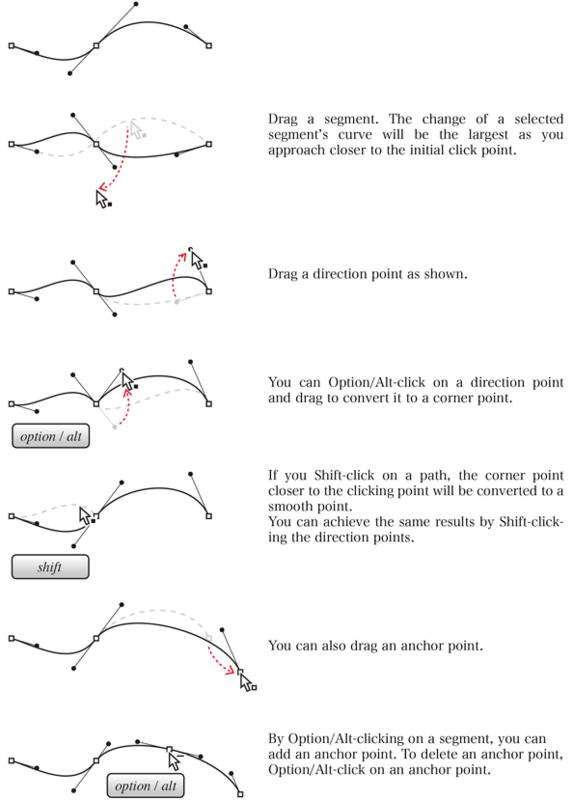 Click to establish the path’s starting point, the click and drag to add an arc. 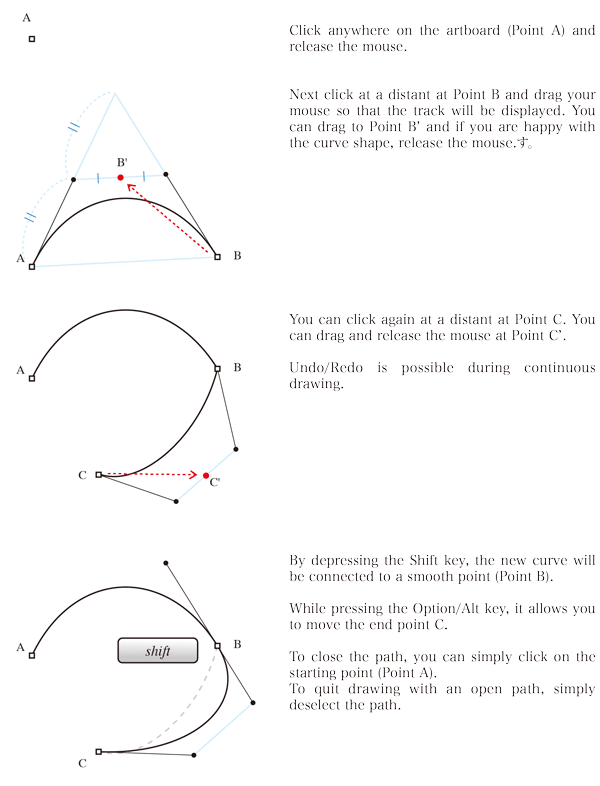 Multi-Curve The Multi-Curve tool creates curved path segments. 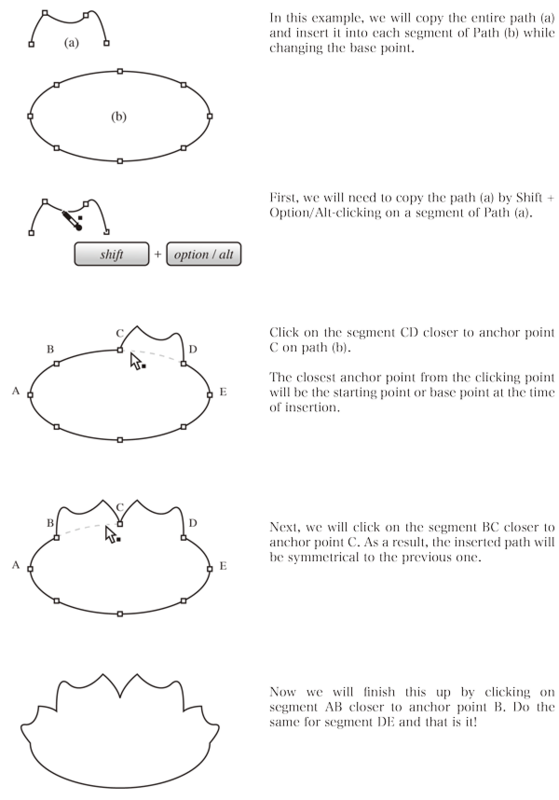 You click to establish the initial anchor point, then click and drag to add a single anchor point and a curved path segment. Unlock Use the Unlock tool to unlock paths, objects, and groups individually; use it to convert Illustrator’s guides to paths. Segment Duplication The Segment Duplication tool copies the shape of one path segment and applies it to another. 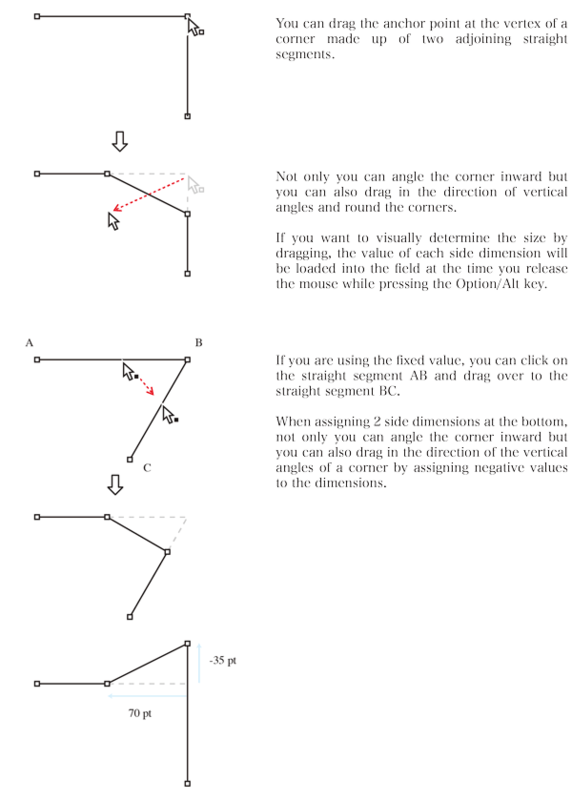 Parallelization The Parallelization tool duplicates the angle of a path segment (straight or curved) and applies it to another path segment. 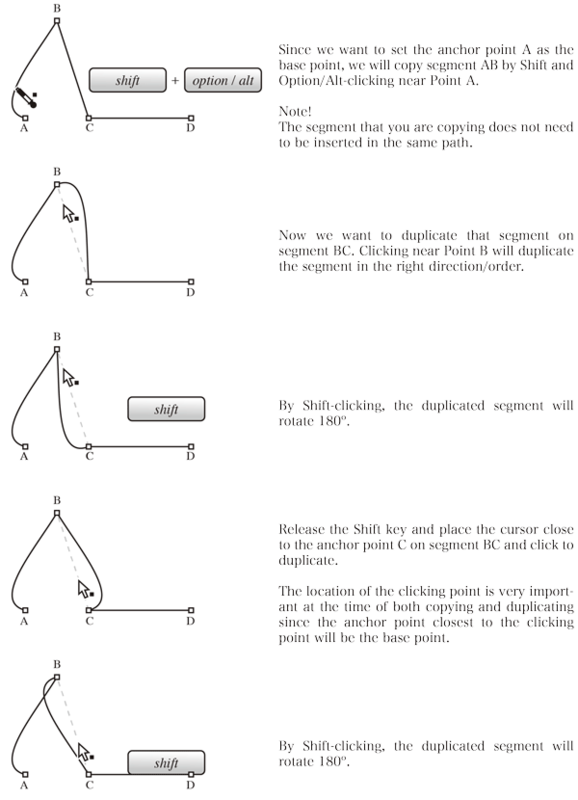 Segment Insertion The Segment Insertion tool copies an existing path segment and pastes it into a different location or a different path or object, replacing an existing path segment. 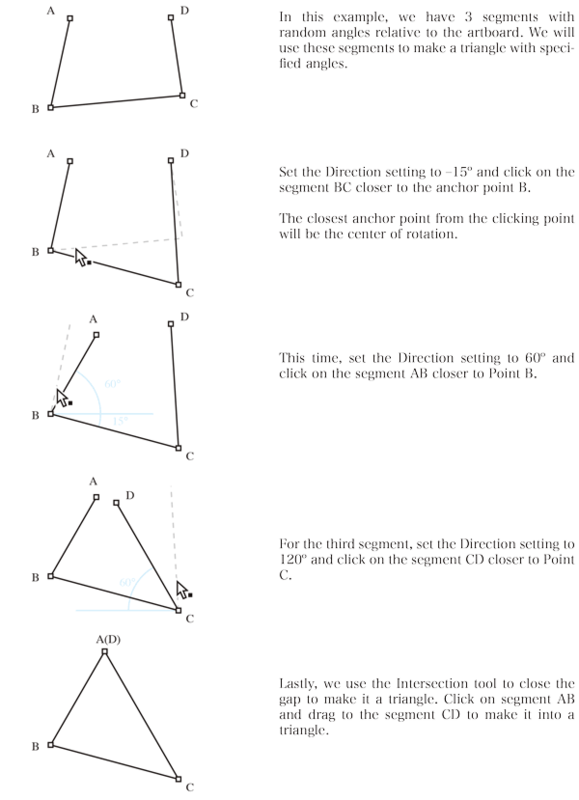 When pasted, the segment is scaled, if necessary, in order to preserve the positions of the existing anchor points. Segment Angling The Segment Angling tool enables you to precisely angle path segments, both straight and curved. 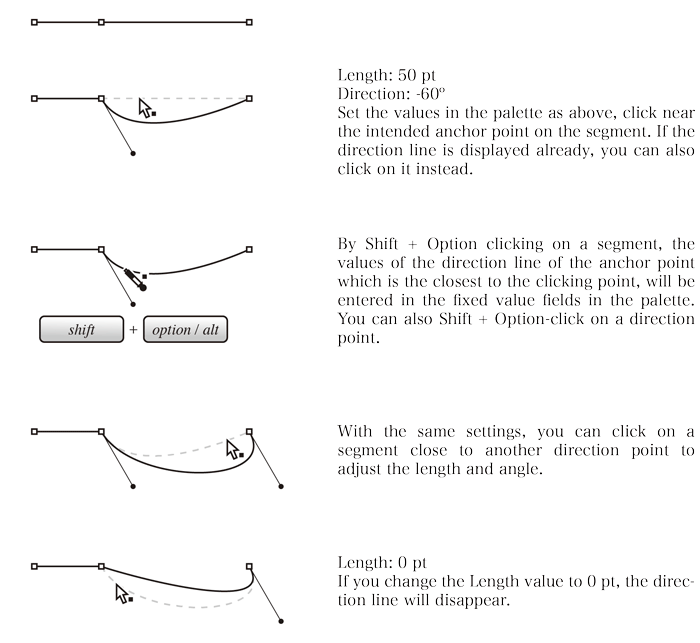 Segment Resizing The Segment Resizing tool enables you to precisely change the length of path segments, both straight and curved. Path Insertion The Path Insertion tool copies an existing path, open or closed, and pastes it into another path or object, replacing an existing path segment. 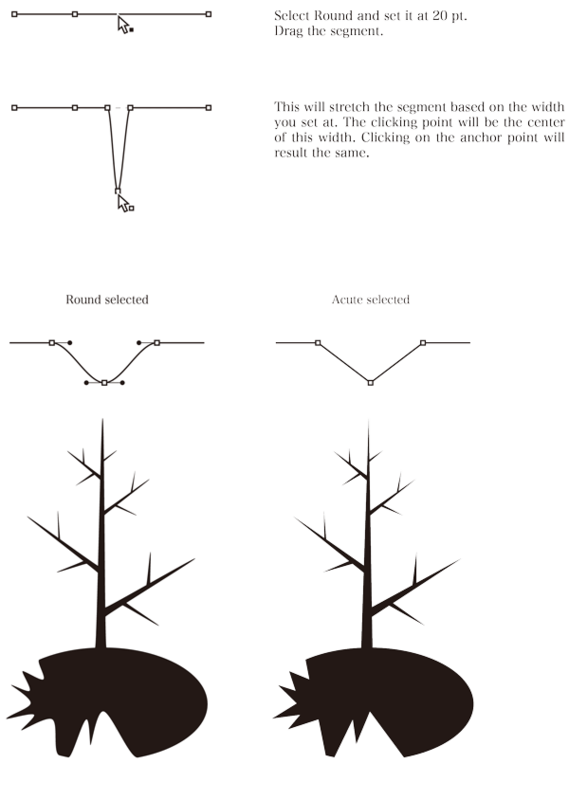 When pasted, the path is scaled, if necessary, in order to preserve the positions of the exisiting anchor points. 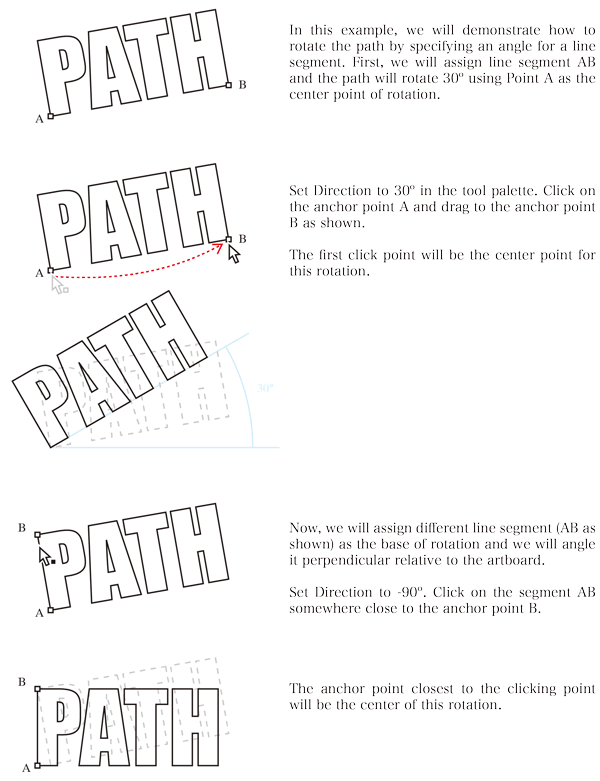 Path Angling The Path Angling tool enables you to precisely rotate paths or objects. 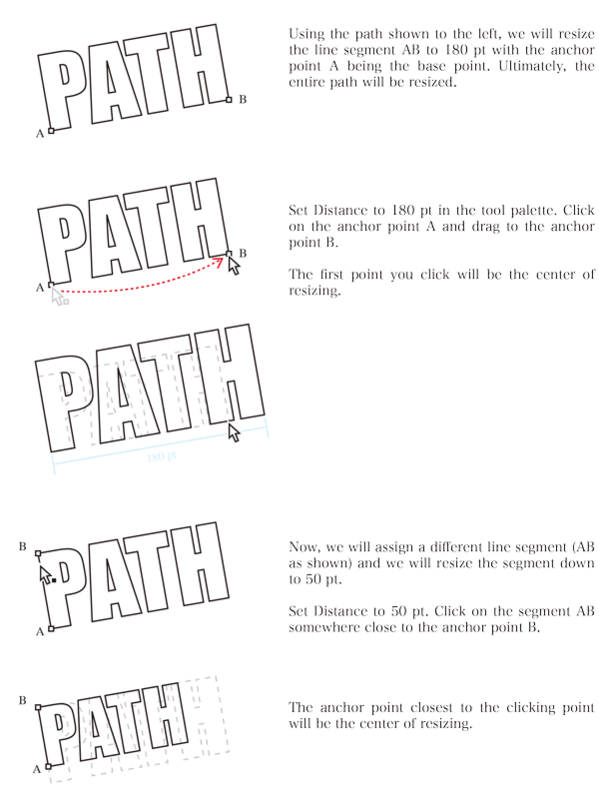 Path Resizing The Path Resizing tool enables you to precisely change the size of a path or object, scaling the entire path according to a designated length for a specific path segment.